Velodrome was mostly born out of the natural progression of a coffee professional. 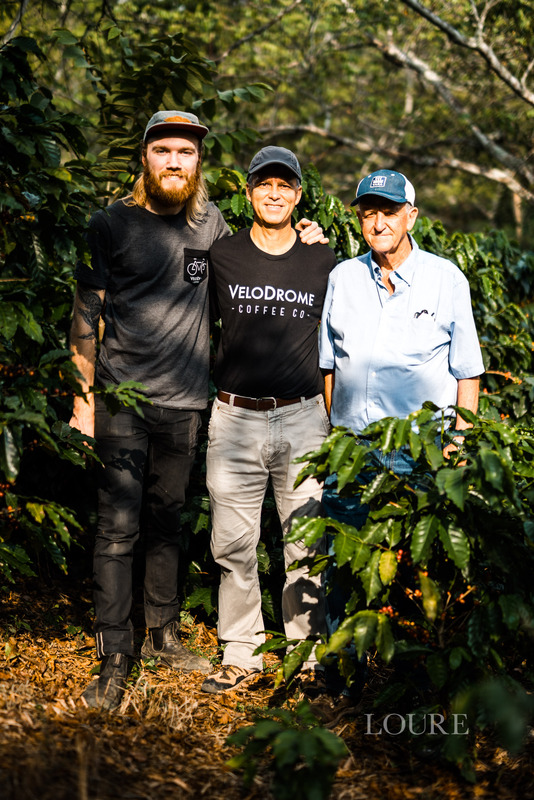 I started as a barista, learned to roast, managed, did wholesale and eventually was running the entire roasting operation/green sourcing with Honest Coffee in Franklin, TN. That whole time I was dreaming of what I would do on my own… combining my 2 biggest passions in life: biking and coffee. When my wife wanted to move back home to the midwest, I realized it was time to execute the plan of Velodrome. One of my main goals in starting Velodrome was to do what was right before what was profitable. I was starting to see a big dissonance in the industry between roasters and farmers. I knew a few farmers personally and decided to adopt a new approach to a cafe and roastery startup. 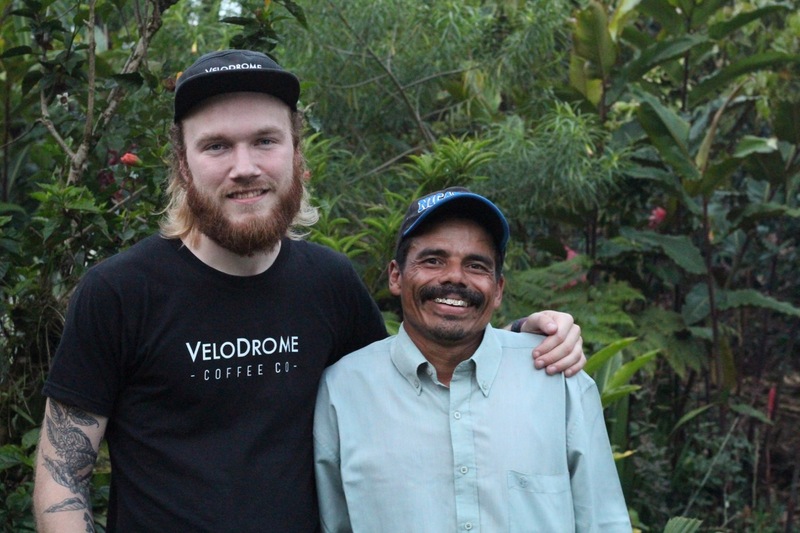 I would only source coffee from the farmers I know personally….. so no Ethiopian coffees yet. 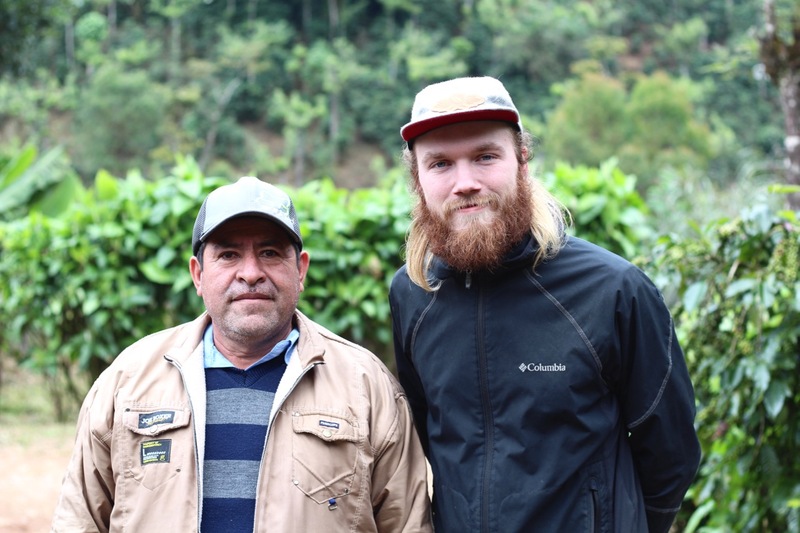 A lot of coffee people might think this is a little crazy, but we see this as a way to bring attention to true direct trade and creating more transparency in the industry. I would only source coffee from the farmers I know personally. To start, a velodrome is a track built for a specific bike racing discipline. It has steeply banked turns at specific angles to mimic the same degree a rider would lean into a turn. The track essentially lets racers ride their bikes perpendicular to the track at incredibly high speeds… sometimes more than 50mph! Here at Velodrome Coffee Company, our tagline is, “FAST | SIMPLE | FRESH”. The velodrome track really ties into the first two words, fast and simple. As you can imagine, the velodrome track is built with the sole purpose of maximizing speed and helping racers maintain that speed through the laws of physics. 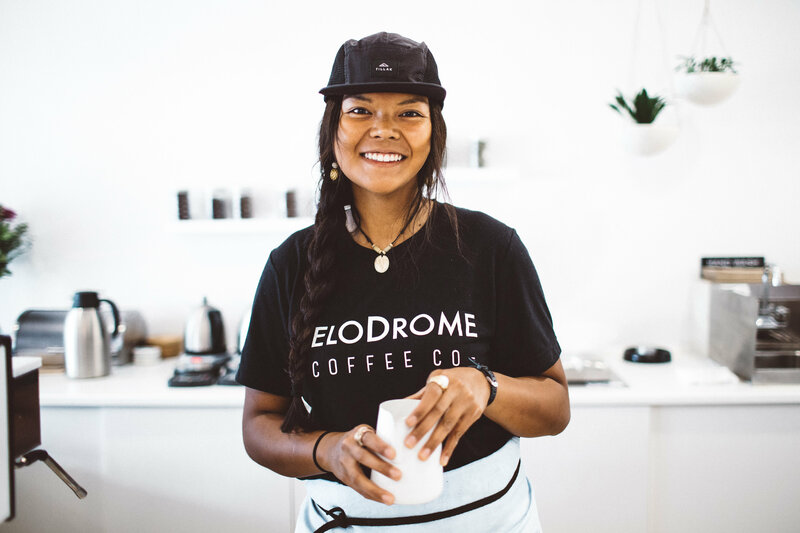 As the velodrome track is a symbol of speed, so Velodrome Coffee Company will be. 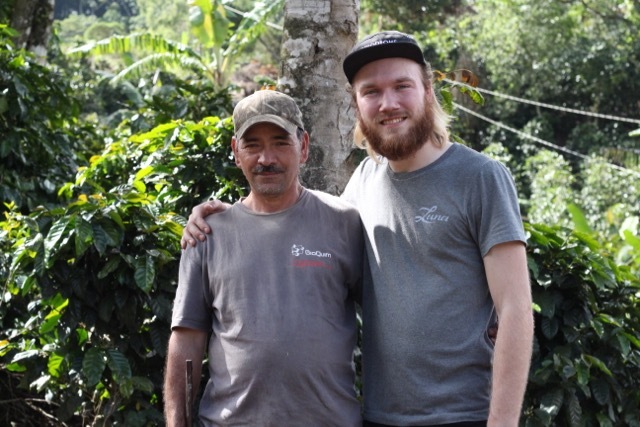 We desire to bridge the disconnect between the common consumer and specialty coffee. One hurdle we see in that is the inconvenience of current specialty shops. People don’t have the time to come into a coffee shop and wait 10+ minutes for their beverage. Velodrome Coffee Company will seek to find ways to overcome this hurdle and provide the best possible cup in just a few moments. 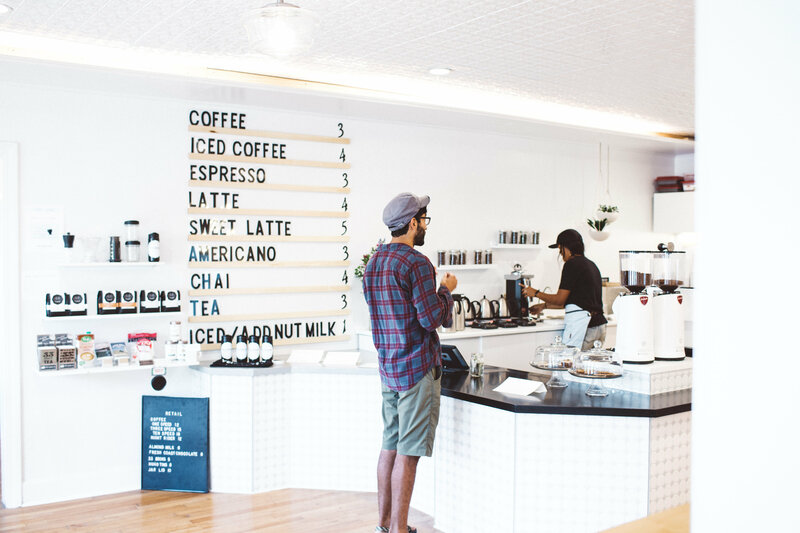 We believe this act might prompt someone to try Specialty Coffee who normally may not have. We will also strive to fill online orders in the quickest manner possible. Simple… the bikes cyclists use on the velodrome track are incredibly minimalistic. These bikes do not have brakes or gears, instead they have a fixed cog that allows the riders pedaling to completely control their speed. These components are removed because that are simply not necessary and will only weigh down the bike. No coasting and no changing gears also creates a zen-like connection to the track and to the cyclist’s momentum. 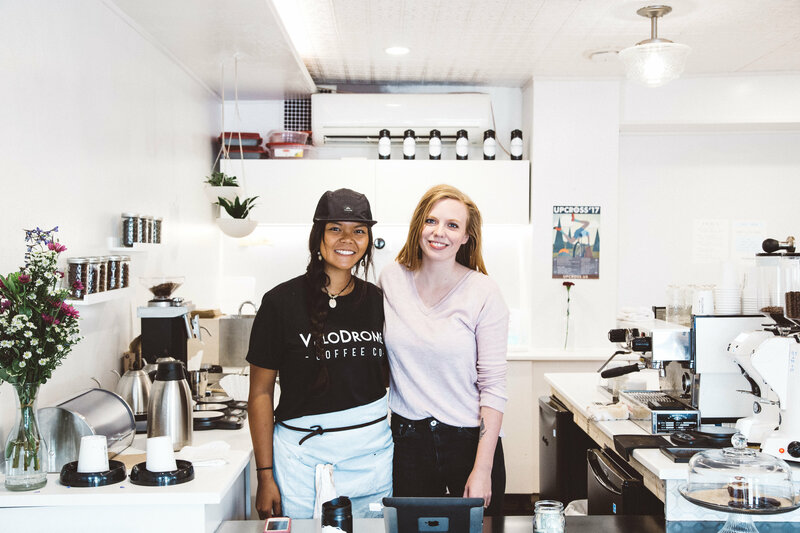 Velodrome Coffee Company also values simplicity and trimming down options to create an uncomplicated approach to coffee. 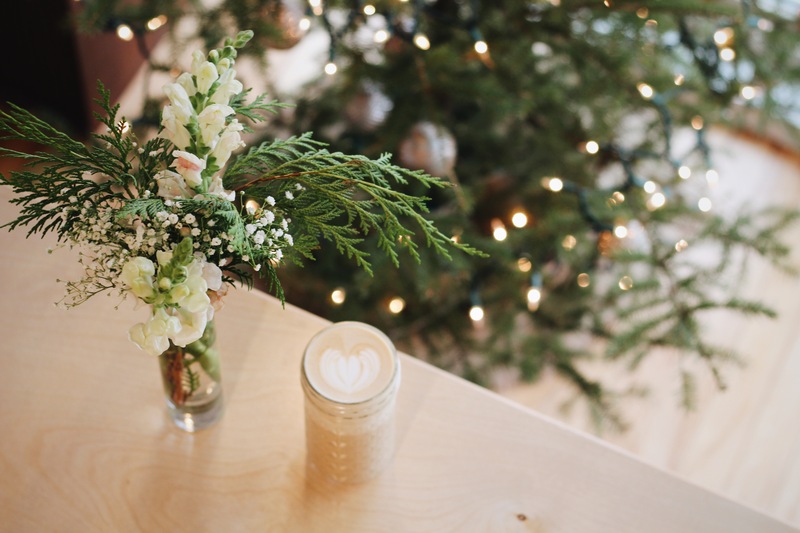 By having only a few seasonal coffee offerings at a time as well as a simplistic drink menu will help create a deeper connection to the craft of coffee for the consumer. We’re taking away some of the frills and going back to the beautiful basics. 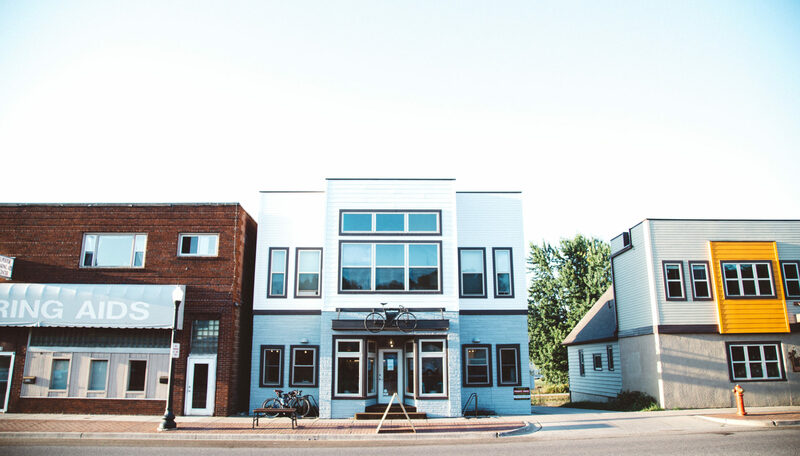 We’re located on the shores of Lake Superior in downtown Marquette, Michigan. Marquette is a college town and a little progressive cultural bubble in the midst of a very blue collar and rural part of the state. We chose this place because first of all, my wife grew up here. Secondly, we know the people here care about small business and about craft goods. There’s a booming craft beer industry here and we knew that people would also be into a craft morning beverage. We initially started with a used single group Linea EE before upgrading to the Modbar. We use a Fetco XTS 2131 for batch, brewing 2L batches using the Scott Rao batch principles. For by the cup we’re rocking the clevers. 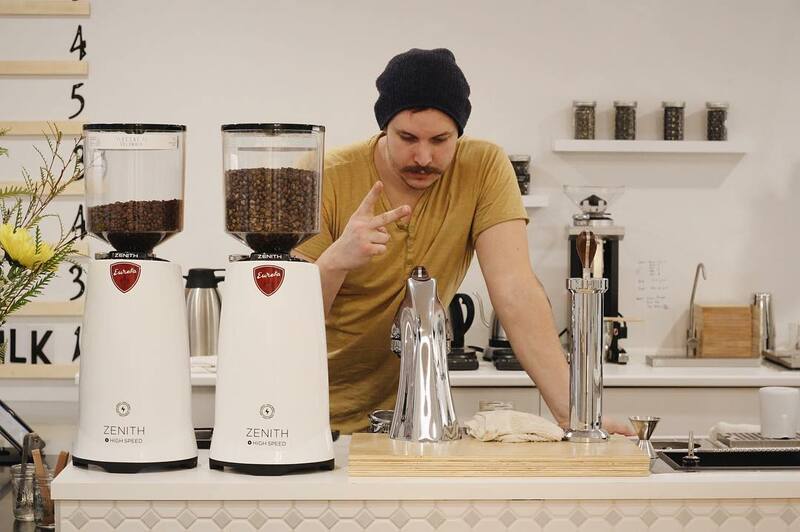 The bar is stocked with Eureka grinders all around, 2 Zenith 65E’s for espresso and a MCD4 for batch and by the cup. When seeking out equipment, we just wanted the most bang for our buck. The affordable, yet insanely durable nature of the Eurekas are prime! Well, since our tagline is FAST | SIMPLE | FRESH… we focus heavily on speed. Our bar is very compact and efficient. We want to break down the barrier of inconvenience in craft coffee… no one should have to wait 10 minutes for any beverage on the menu. One way we accomplish this is by setting everything up within reach. Even with one person behind the bar, the barista should only have to take 2-3 steps to make any drink. 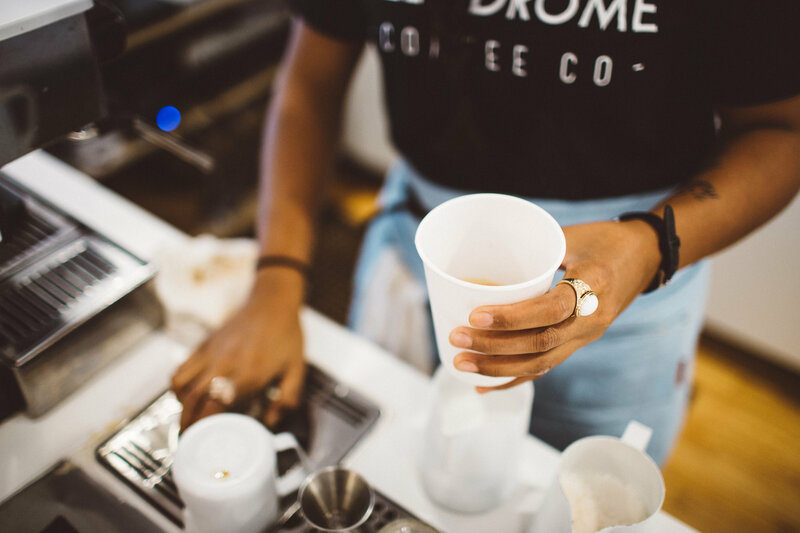 Prep areas are also set up in a way so that when multiple baristas are behind the bar, their paths have no reason to cross when making any drink on the menu. 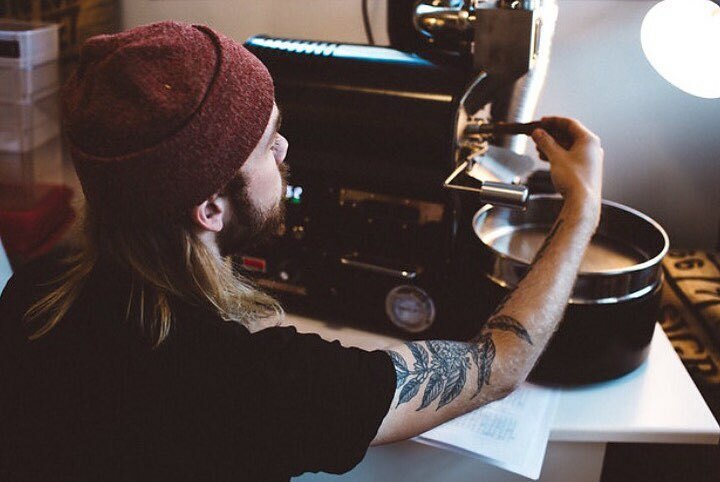 Essentially, we believe the bar is set up perfectly for a solo barista rockstar, and also for up to 3 people just knocking out insane amounts of beverages. Other little tricks… multiple to-go cup dispenser locations, defined ordering and pick up areas, multiple drains set into the counter for each area of preparation, and one last little feature that really speeds up milk drinks is having an ice bin for milk storage set into the counter. This prevents having to open and close a fridge with every single drink. This also means that during rushes, whoever is making espresso drinks doesn’t need to take a single step or interrupt any conversation to disappear behind the bar to grab milk. one last little feature that really speeds up milk drinks is having an ice bin for milk storage set into the counter. This prevents having to open and close a fridge with every single drink. Besides sourcing our coffee personally and roasting it in-house, I would say the next most special thing is our efficiency. I’m not talking just how fast a customer can get in and out with coffee, but all around. From the way we brew by the cup, to how we train and staff the bar, and finally our sustainable measures such as becoming trash free… it’s all about lean efficiency. Interested in connecting with the Velodrome Team to dig a little deeper?